JAKARTA, -- Defence Minister Ryamizard Ryacudu receives Regional Director of South East Asia Boeing Young Tae Pak, Tuesday (25/8) at the Ministry of Defence, Jakarta , The meeting is to discuss the continuation of the procurement plan for Chinook. On the occasion, the Regional Director of South East Asia Boeing said that in the procurement of Chinook later, the Boeing stands ready to provide and meet the requirements of offset scheme desired Indonesia. To discuss in more detail how the mechanism offset scheme is , so this time the Boeing has sent a team to the PT. DI in Bandung. Regional Director South East Asia Boeing also delivered ready to assist fully to smooth the procurement process and will provide the best price for Indonesia. As we know, that the Ministry of Defense plans to buy four Chinook helicopters to strengthen Alutsista in the ranks of the army. This purchase tailored to the real threats facing Indonesia, especially the problem of natural disaster management. 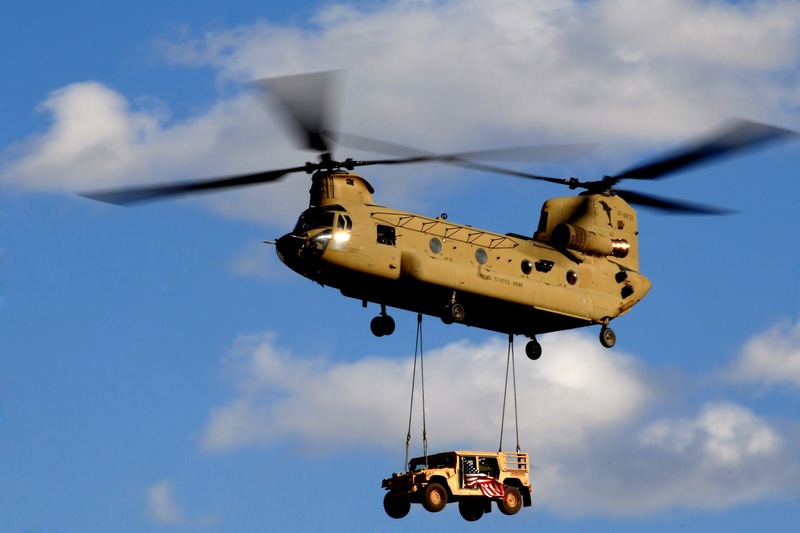 Chinook is one type of helicopter that has an edge multifunctional. Besides being able to transport military personnel in large quantities, this helicopter was also able to transport logistics in large quantities. In addition, this helicopter is designed to be able to carry (sling) fighter aircraft, warships, combat vehicles (combat vehicle), to the lightweight class battle tanks. Not only that, the ability of large haulage, helicopters are widely deployed to support national needs, such as a natural disaster evacuation and search and rescue activities. The US Army Boeing CH-47F Chinook inflight.